I hope you all had a fun and safe Halloween! Now we get to look forward to Thanksgiving. What better way to do so than with Pumpkin Pie, I ask? 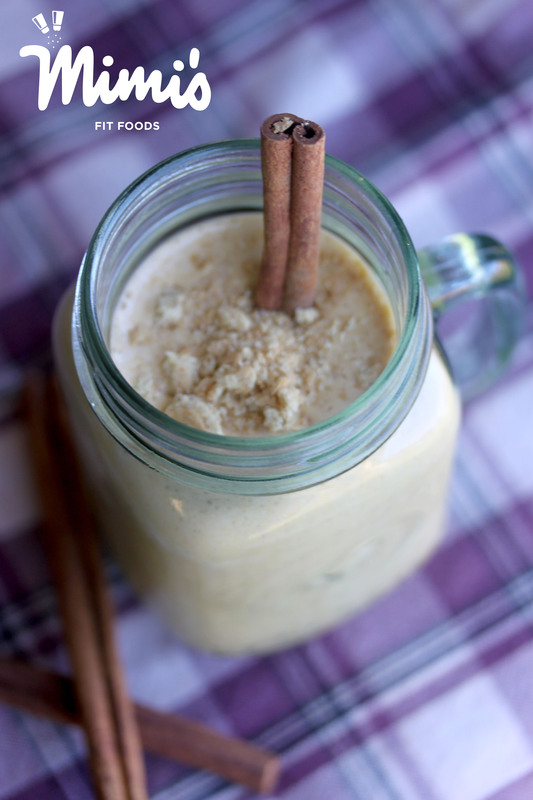 Here’s a great way to get your protein shake in while TOTALLY appreciating the flavors of pumpkin pie! It’ll make you feel all cozy on a fall or winter day. The smoothie surprisingly tastes a whole lot like pumpkin pie and leaves you with that sweet and decadent flavor. I gotta admit that my favorite part of the smoothie is the the chunks of graham crackers found throughout. I love the flavor and the crunch. I’m so happy that I’ve found a way to enjoy pumpkin pie in a healthy and balanced nutrition sort-of-way. Enjoy! Put canned pumpkin, milk, cinnamon, and protein powder in blender. Blend until well-combined and smooth (about 1-2 minutes). Add ice and blend again until smooth. Top with graham cracker crumbs. I’m totally trying this tomorrow. Are you back from paradise yet?!? !